Regardless of your score you are incredibly valuable. It's around the time of year where the Year 12 students begin to flock to their local libraries like pigeons to bread crumbs. Being a huge fan of the wonderful Gordon Library in Sydney, I used to frequent it quite regularly after school and on weekends when I was studying for the HSC last year. I noticed the other students who regularly attended and could navigate my way around the HSC section blindfolded. 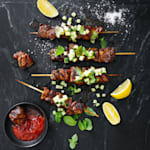 When you walk past a group of Year 12 students, the continuous chatter usually revolves around exams, study, or the very occasional party or movie night to relax. The phrases that seems to pop up the most, however, are normally along the lines of: "That's not good for my ATAR" or "That will negatively affect my HSC" or "Sorry I can't go out I have exams in three months". Some of those may be a little bit of an exaggeration but the point is still clear. The majority of Year 12s care a lot about their results. And so they should. The HSC is a very important time in their lives but is it as important as their mental, physical and emotional wellbeing? I fully support hard work and dedication towards one's studies, but when it starts to become more important than your own health I draw the line. Everyone should aim to achieve balance in his or her lives, especially during stressful periods of time. 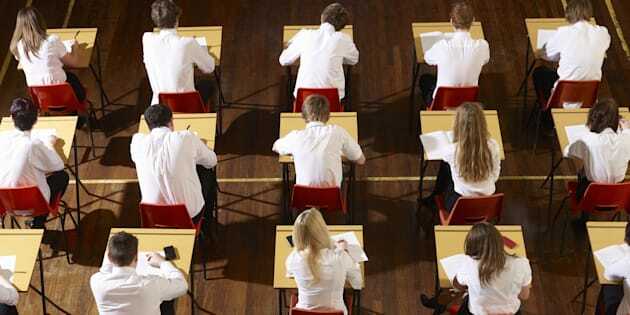 Students undergoing the HSC should realise that their ATAR is not the be all and end all. Their life is not over if they do not achieve 99.9. Exams do not measure a plethora of qualities that exist among these students. 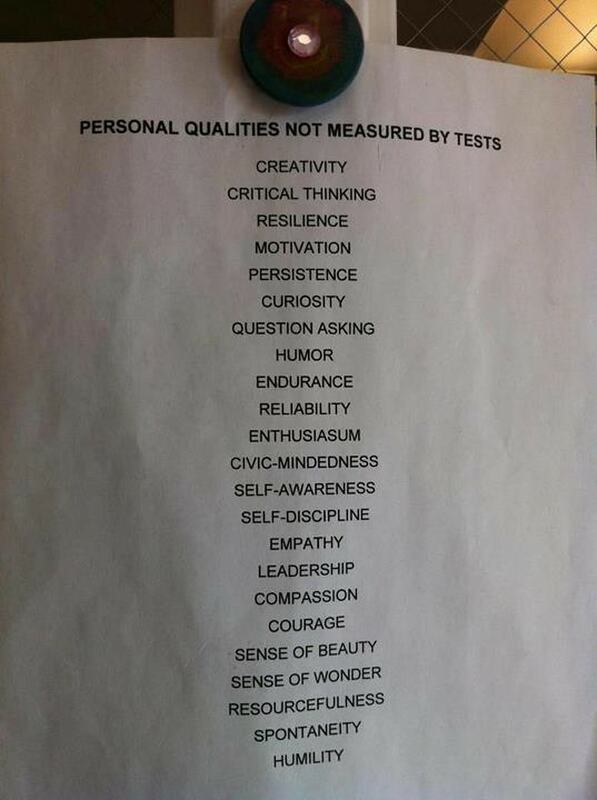 I'm sure you have all seen that viral photo of the list of 'Personal Qualities not measured by Tests'. I particularly want to draw attention the third one -- resilience. That is one of the most important qualities that should evidence itself in every student after they receive their final mark. They should not let the disappointment of not achieving their desired ATAR consume them, but rather let it fuel them to work harder to achieve their future goals. If you are one of those lucky people who are satisfied with their results, then you should remember the final quality on the list -- humility -- and not gloat over those who are less satisfied than yourself. Now back to balance; that is paramount. Balance is achieved most straightforwardly by creating a schedule and many, many 'to-do' lists. Organisation is key. This brings us back to that list of qualities, where self-discipline and resourcefulness step up to the plate. It may seem daunting to make a giant list of every single tiny thing you must complete before your exams, but trust me, it will make things a million times easier. Think not of the overwhelming length of the list before you; just remember how amazing it feels when you tick things off those lists. One by one. Self-discipline comes into play now, not just with your studies, but also with taking care of yourself. It's fantastic if you can get solid blocks of study hours done, but if you don't even take a bathroom break or get yourself some food, then you're only harming yourself. I cannot stress this enough -- give yourself a break! Work hard, study hard but also rest hard. Your body needs time to refuel itself and clear its mind before it can take in another seven hours of study. You need to allow it time to organise what you have studied into its little files and clear itself up before you dump three more syllabus' worth of information into it. I am not playing down hard work or condemning loads of study, I am simply wanting to make you aware that it is okay to take a break and relax. It's okay to go out for a few hours or see a movie with your friends. If you are consumed by your ATAR and let it interfere with your own wellbeing, then I suggest you take a look at the 'Personal Qualities not measured by Tests' and write down a few that you possess, and others to which you aspire. Stick them around your room, on your mirror, in your bathroom, wherever you have to, to ensure you do not forget this -- regardless of your ATAR you are incredibly valuable. I cannot emphasise enough how important it is to value your individual qualities and characteristics and to take care of yourself before, during and after exam periods. Looking back on my time in Year 12 I am proud of my accomplishments even though I didn't reach my desired ATAR for the course I wanted to study by at least 20 points. I sit here now, writing this in one of my classes at University where I am studying to be a Journalist. I am living out my high school dream despite below average results in my own HSC. So as long as you set your sights on what is important to you and don't let the stress of high school exams get you down, you can achieve your dreams too.